Hi and welcome to the November child care blog! 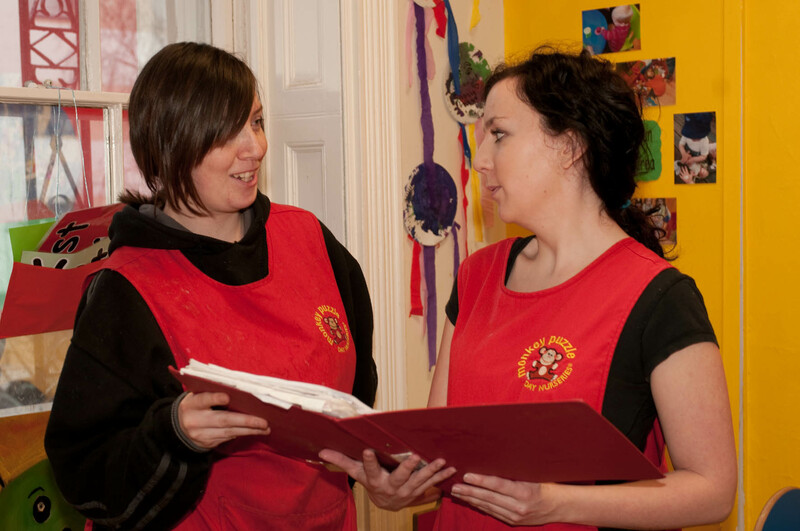 Last month we looked at being a reflective practitioner. This month we’re focussing on how you can extend this by observing and learning from other practitioners. It’s a topical issue, as currently most early years employers have to look carefully at their costs. While it will always be necessary and advantageous for employers to pay for some formal, traditional training for staff (such as tutored courses, seminars or conferences), finding cost effective ways to supplement these is now a priority for many. Informal peer observation – making time to watch what colleagues do and how they do it – is a great way to learn from the good practice of your colleagues. If you’ve identified a particular area in which you want to improve your own practice, be sure to observe someone who excels in that area – your supervisor will steer you in the right direction. And if you work in a larger setting, do grab the chance to learn from the way things are done in other rooms with children of differing ages. To really maximise the benefit of peer observation, some settings form partnerships with another local setting, enabling staff to go and observe practitioners working in a completely different environment. This often sparks all sorts of new ideas and working methods to be discussed and tried out. Partnerships may be between settings that both deliver the Early Years Foundation Stage, e.g. a nursery and pre-school, but they also work well between very different settings, e.g. a special school and a nursery, or a pre-school and a holiday club. Even one-off visits can be extremely valuable. For example, if you’ve never worked in a school, spending a day in a Reception class could help you to understand the context of the term “school readiness,” used in the Early Years Foundation Stage. Observation can also be made more formal between colleagues working within the same setting, with the observer making notes and giving feedback on the practice they’ve seen to the practitioner concerned. This allows both practitioners to gain from the observation experience. In-house buddying and mentoring between colleagues can also be beneficial. Buddies actively work together on a shared activity – for example, to complete curriculum plans. Usually, buddies pool together differing skills – in our example, one practitioner’s strength may be identifying the fine detail of what children should learn. The other may be great at coming up with creative activities to provide these learning opportunities. Both buddies can learn from and be inspired by the other. The term “mentoring” usually describes an experienced member of staff working with a less experienced colleague, providing advice and help over a set period of time. It’s increasingly common for newly qualified staff to be assigned a mentor when they begin work at a setting. If these options aren’t available at your setting, why not suggest them to the appropriate person? They could have a fantastic (cost effective!) impact on the whole team.